Sold by Nanjing Hanite Imp & Exp Co., Ltd.
8. Delivery in 3 working days. 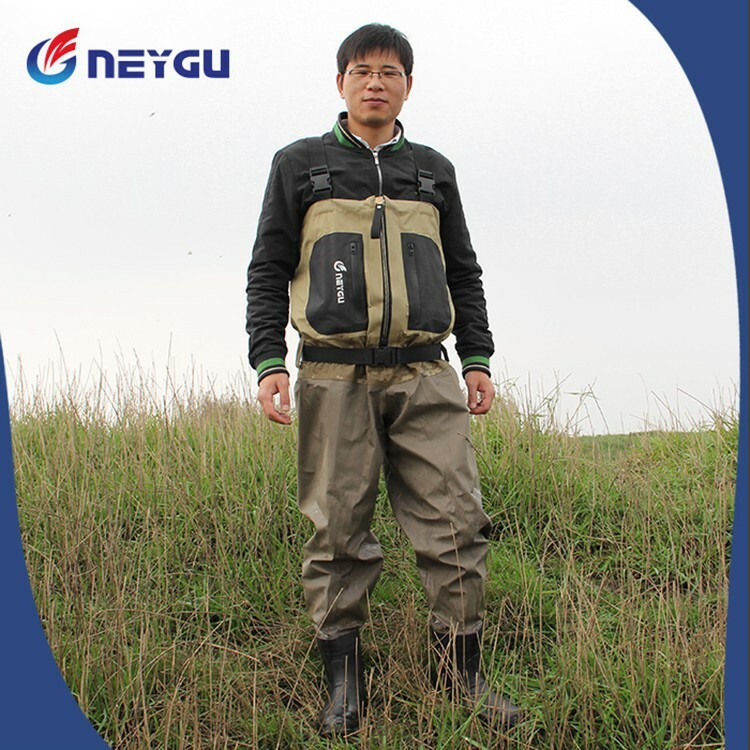 we warrant original purchaser that our waders are free repacement from defects or leaks caused by materials or workmanship for a period of three months form the date of original perchaser receiving them. In this case please contact us. We are the only one store who dare give this guarantee. For this style, Sizes from L to XXL are available. For better fit, please leave us your size, we choose the best one for your. Sizes needed in metric unit: Chest, Waist, Insteam, Outsteam and Foot Length. We test it by ourselves in the river! 1. If you are satisfied with our products and services, please leave your positive feedback and 5 stars. And pls tell us in your next order, we will send you a gift together. 4. If you need faster express, please choose FedEx, DHL or others . We provide customized sevice, you can print your logo or picture and choose you personal size. If you have any idea, we make it true. Nanjing Hanite Imp & Exp Co., Ltd.
California Proposition 65, SVHC standard 2012 etc.